"The high railings of Prospect rippled past their gaze. Dark poplars, rare white forms. Forms more frequent, white shapes thronged amid the trees, white forms and fragments streaming by mutely, sustaining vain gestures on the air." 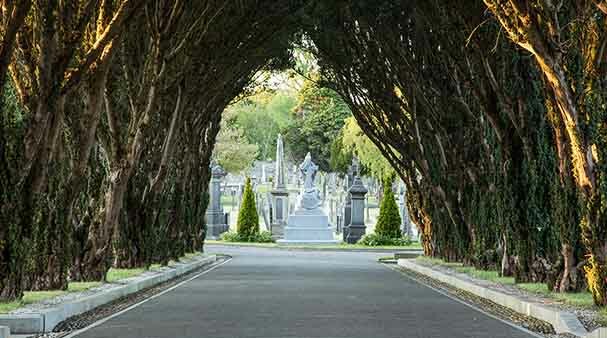 So writes James Joyce, as the funeral carriage reaches Glasnevin Cemetery in Dublin, early in his major work Ulysses. The best book I've never read. And from the size of the Joycean support industry – interpreting, simplifying and reading the book aloud – I don’t think I’m alone. Until now. 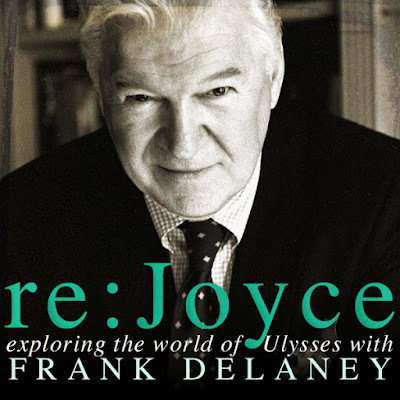 With the death of Irish author and broadcaster Frank Delaney, and my podcast Re:Joyce, I now feel very alone. The death of a podcast is an unsettling and very twenty-first century experience. I’m used to musicians and other artists dying, with the implied posthumous invitation to revisit their life’s work. Sometimes there is an unfinished work or two to tear to shreds like a hungry shark, but generally their oeuvre is what it is and no more. Frank Delaney’s Re:Joyce was a very different kind of project. Each week a fifteen-minute episode, with an extra one per month and a ‘baker’s dozen’ special (on some related topic) after every 12 weeks. Ulysses is the story of Dublin on 16 June 1904. And much more. Delaney would read a page of the book and then dissect it sentence by sentence, sometimes word by word. He wasn’t telling me what Joyce meant or what it might all represent, but offering a guiding hand through the vocabulary, geography and the gist of what was going on. I was put onto this podcast in 2011 by my friend Janelle Hatherly, from Sydney, who knew I was interested in Joyce and who knew I had struggled with this particular book. I’d read the first 250 pages of Ulysses a few times, dipped into various other chapters, and listened to the entire book read by Jim Norton (on 22 CDS, also provided by Janelle). The CD recording was fantastic and I loved every minute of it. That’s despite one particular session in my kayak on Sydney’s Middle Harbour, when I set my device to shuffle by mistake, adding further complexity to the narrative. While the author Will Self (whose writing has affinities to Joyce) may disapprove of this form of ‘reading’ I’ve now experienced every word and sentence of the book. I’ve also read lots of books about the book, and visited the Joyce Museum in (Stephen’s) Martello tower at Sandycove, near Dublin. So I’m a tragic who hasn’t really read the book. I loved and hated Delaney. I'm mentioned this before, but at times he was pretentious, mawkish and a little tiresome in his delivery. But if you love Joyce and his words it was worth the collateral. I was even, sometimes, reading pages of the book myself, along with the podcast. Delaney’s was a grand project, much like Joyce’s. Even after Delaney increased the length of each episode from five to fifteen minutes, and added extra editions each month, it was estimated to take 22 years from its start in 2010. In early February we – Delaney, me and eight thousand others (with more than 2.5 million downloads so far) – were in the middle of Chapter 10 ‘Wandering Rocks’. This is half way through the book in terms of chapters but only a third through the 1000 or so pages, depending on the edition. But then, in late February an episode was late. A few days, then a week. I didn’t worry at first. Perhaps he’s sick I thought; there was a patch a year or so ago when he lost his voice and had to add some extra episodes to catch up. After four weeks though I became concerned and thought I’d check out his website for an explanation. There it was. With tremendous sadness… On 21 February 2017 Frank Dalaney died, aged 74. With that announcement, the door to Ulysses slammed shut again. I have my other podcasts, including The Science Show and Blueprint for Living (from ABC RN), If there is hell below (my dose of new music from the UK) and In our Time with Melvyn Bragg (from BBC Radio 4). But Delaney, and for now, Joyce’s Ulysses, is no more. The book, though, is still beside my bed. The bookmark is at page 350, 100 pages further than I’d ever got before… Perhaps I’m strong and wise enough now to go it alone. *Occasional posts are called Plant Portraits (in brackets after the blog title and marked with an asterisk). These are usually about things other than, but including at least passing reference to, plants. Often they will be inspired by a book or something else in my cultural life. The idea is borrowed (very loosely and with due deference) from Milan Kundera's 'Novels, Existential Soundings', in his Encounters. These essays were as much, or more, about things other than the book being reviewed. Images: the top picture is of an avenue leading towards Glasnevin Cemetery, an avenue I'm hoping consists of poplars, perhaps even Populus alba, the White Poplar... (I borrowed the image from a local - Dublin - tourist site). The others are of the nearby Glasnevin National Botanic Gardens, from a visit there in 2010. I've mentioned this botanic garden in a few previous posts. The image of Frank Delaney is from his website. Thank you, Tim. Your beautifully written eulogy helps bring me some closure on the demise of Frank Delaney. You’re not alone – in experiencing the loss of regular doses of Re:Joyce or in not having ‘read’ Ulysses. I’m not even sure James Joyce meant for it only to be consumed this way. 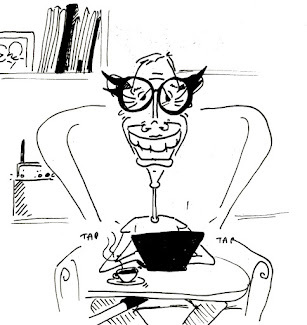 There’s a growing number of devotees out there eager to celebrate Bloomsday every 16 June and Delaney’s enduring podcasts show how Joyce’s masterpiece has not only survived the test of time but technological advances too! Maybe you should consider hosting a Bloomsday at Melbourne’s botanic gardens and perhaps another Joycean scholar can pick up where Delaney left off (Episode 368: Page 192 of Ulysses The Gabler edition) deconstructing Ulysses line by line. Ulysses with its celebration of life in all its simplicity, depravity and complexity helped James Joyce achieve some sense of immortality and I’ve always chuckled at Frank Delaney’s joie de vivre/optimism which inspired him to take on this 25-year-task of in his seventies! There's nothing much anyone can do. Well put Janelle. I'd love to infuse some literature into our botanic garden, and there could be no better way than to pivot this around 16 June. Back to the book for me.